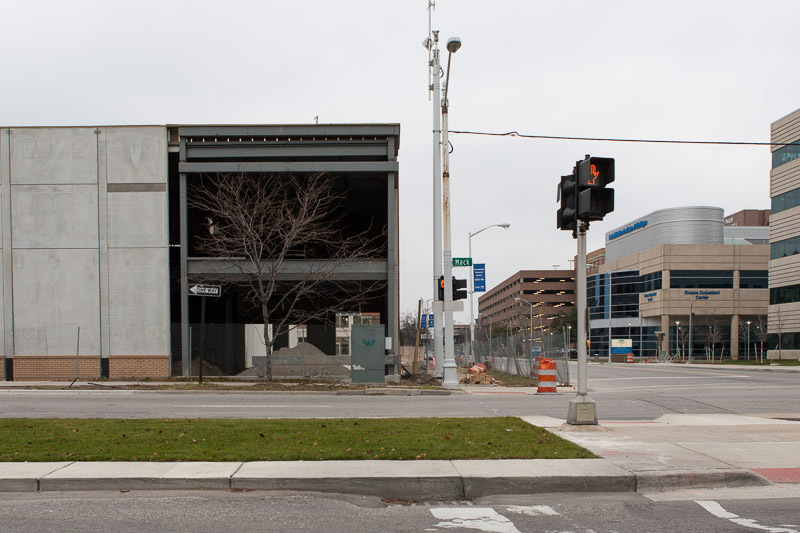 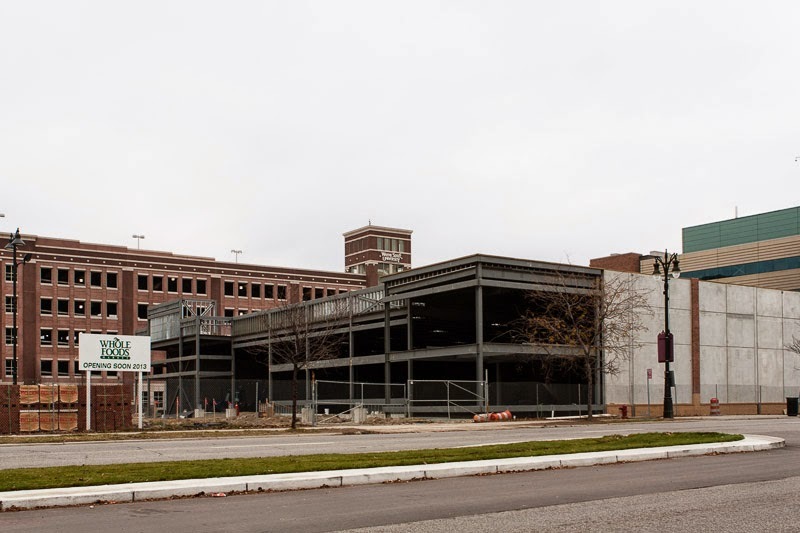 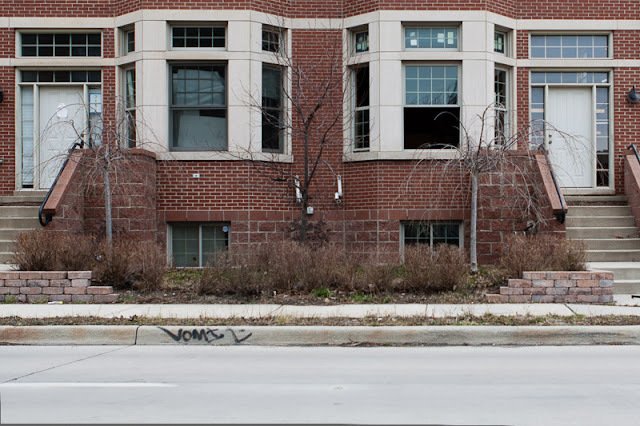 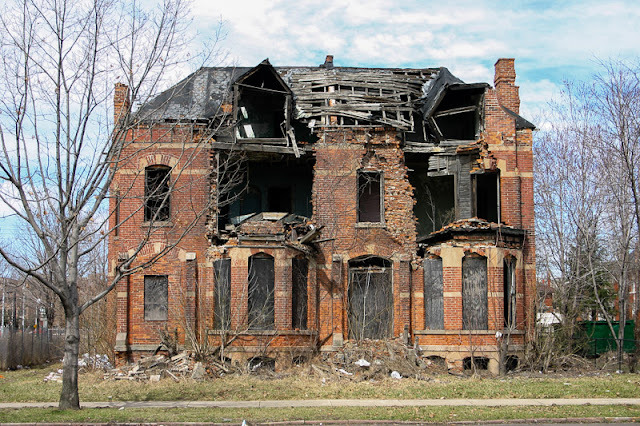 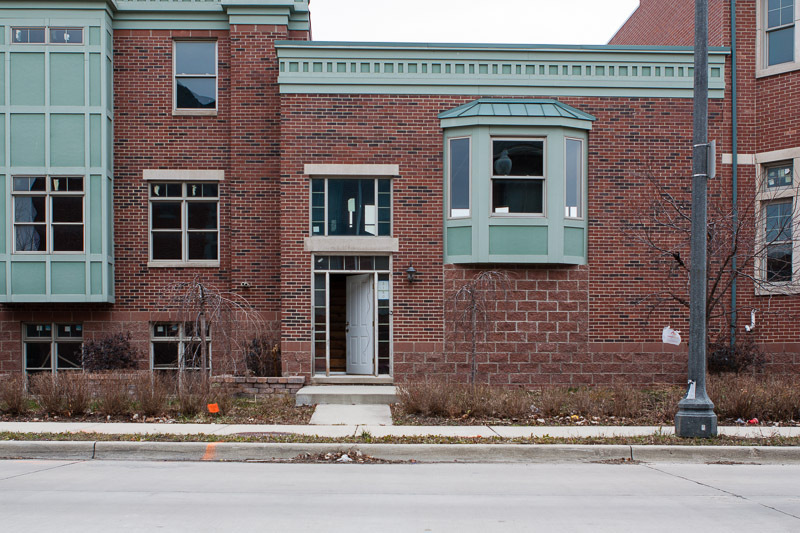 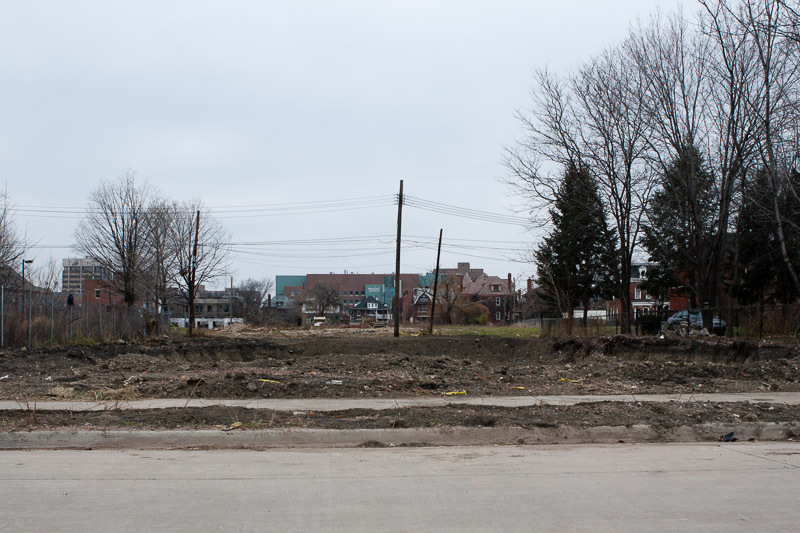 A certain never completed Brush Park development was found exposed to the elements last month. 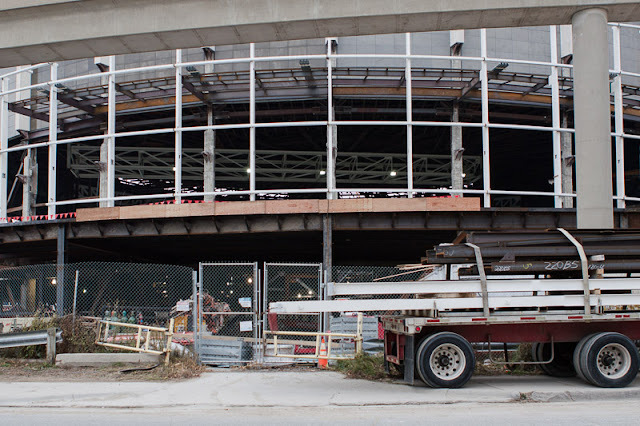 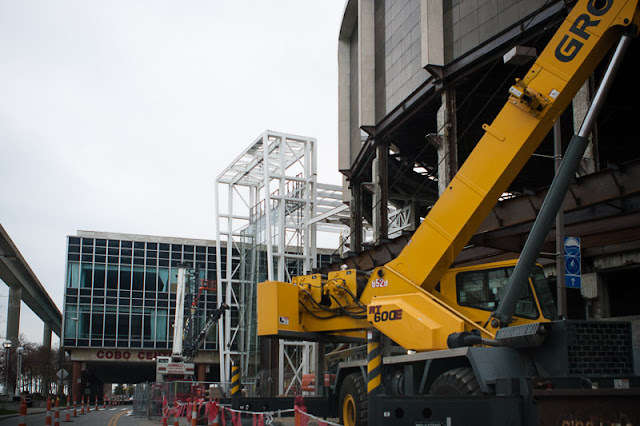 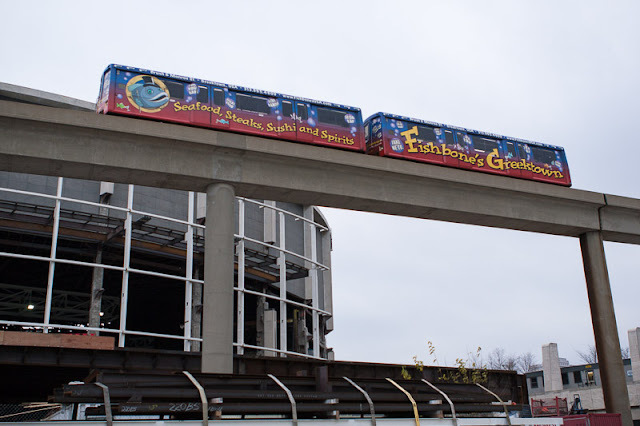 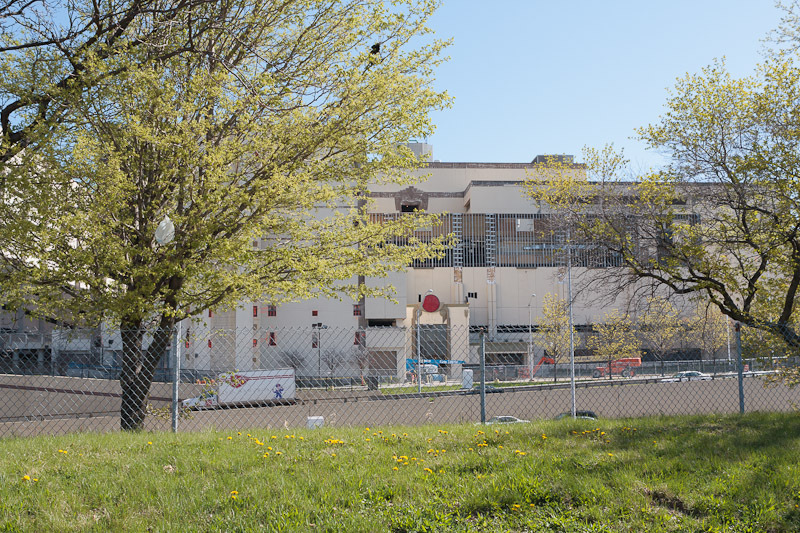 Construction began in 2007, but the site sits abandoned today having never been occupied. 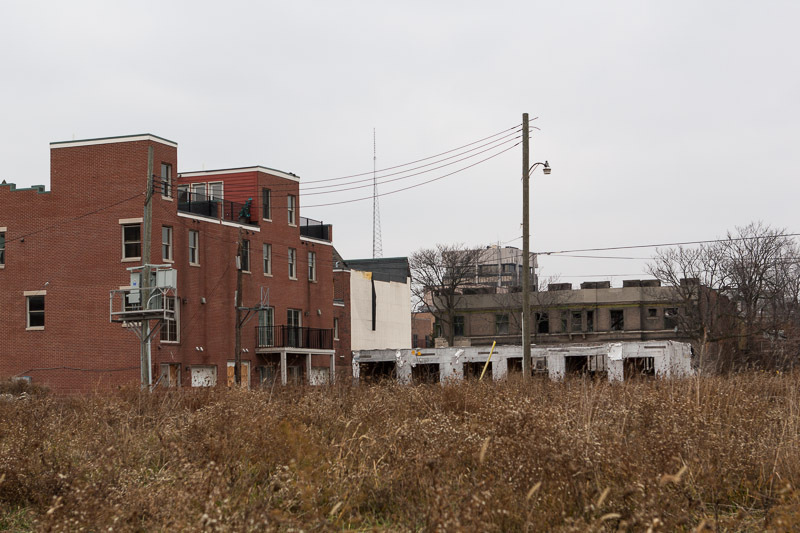 How long will it be before it is reclaimed by nature? 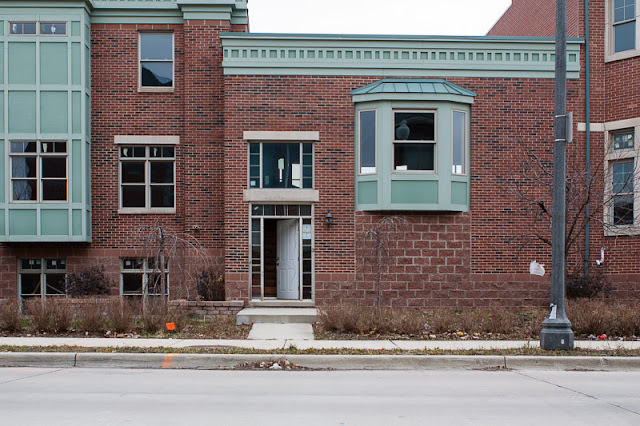 245 Edmund Place never really stood a chance. 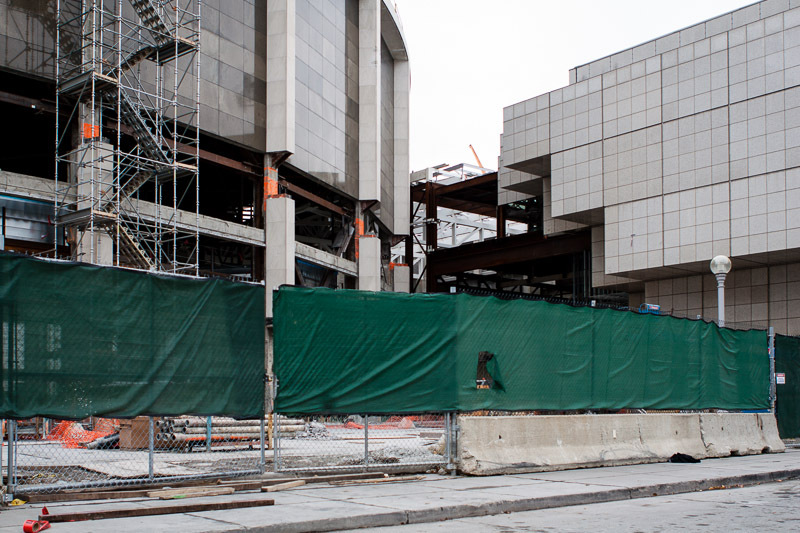 The process of converting the old IRS building/MGM Grand temporary casino into the new public safety headquarters is well underway. 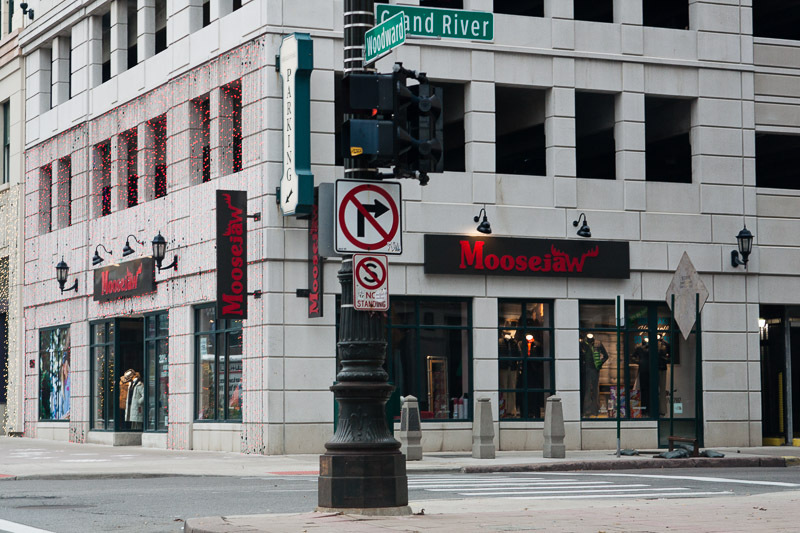 The Moosejaw pop-up store at Grand River and Woodward in downtown Detroit. 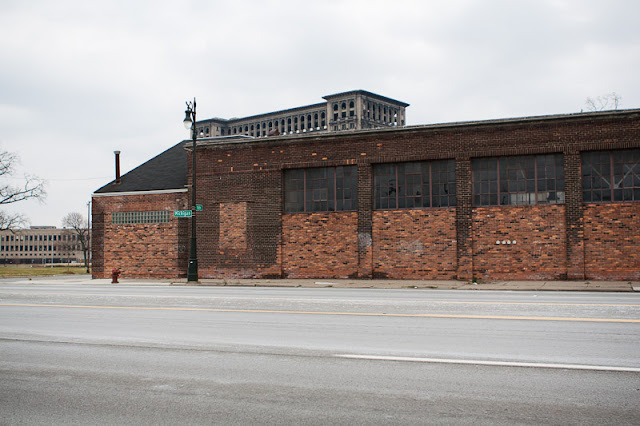 Unable to find a suitable location in Midtown, the Two James Spirits Company has settled on a location on Michigan Avenue in the shadow of the Michigan Central Station. Owners Peter Bailey and David Landrum will convert a former taxi garage into a distillery and tasting room for their gin, whiskey and bourbon. 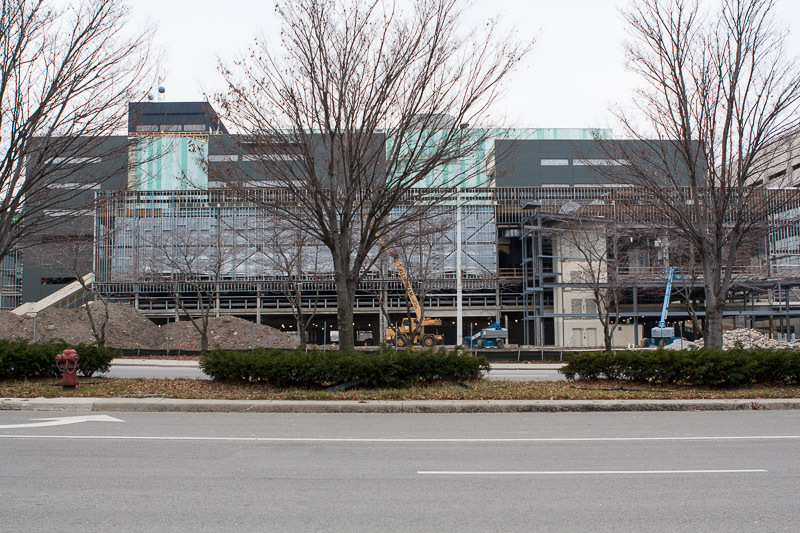 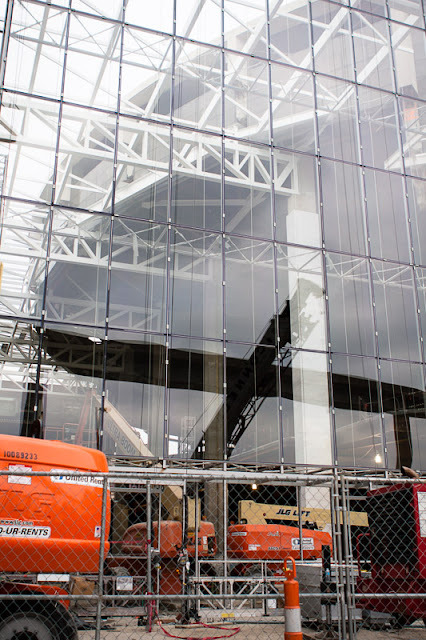 When Two James Spirits opens in early 2013, it will be the first licensed distillery in Detroit since prohibition.